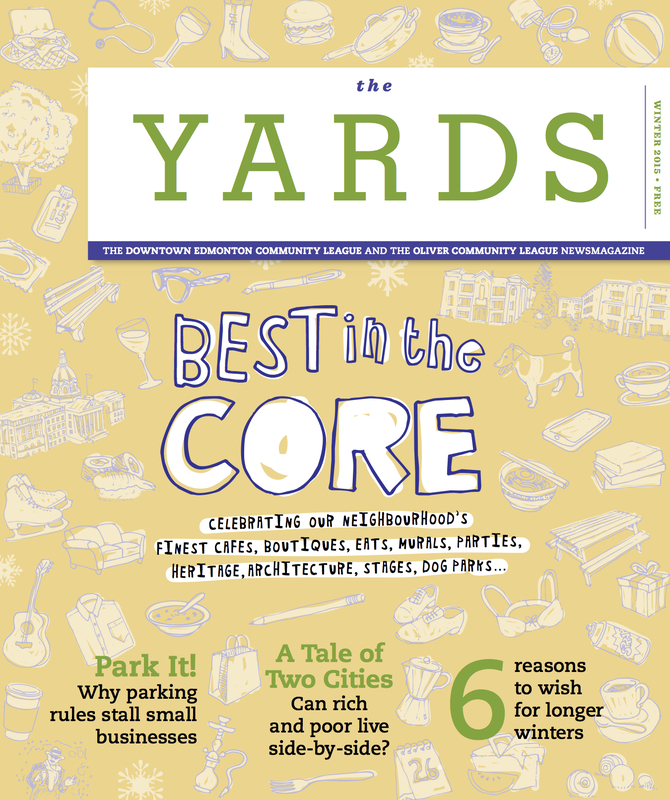 Winter 2017: This issue features the third annual Best in the Core Awards, our yearly celebration of the people, places and passions that make our core so sweet; a glimpse of what life is like for people who live on the other side of the chain link fence; and more. 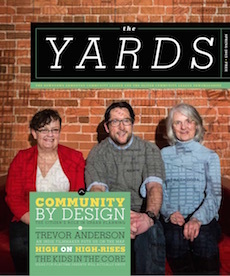 Fall 2017: Highlights of this issue include: Edmonton votes – why many residents won’t meet candidates on their doorsteps, a new protected grid for cyclists in the downtown core has our wheels spinning, and supervised injection sites arrive downtown, yet questions remain. 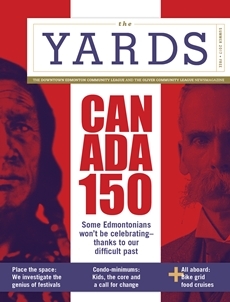 Summer 2017: Highlights of this issue include a feature on Edmonton’s ‘hidden history’ and why some might not be celebrating Canada’s 150th, a look at Edmonton’s Churchill Square through the eyes of a festival organizer, a couple says good-bye to Oliver after 40 years, and a historical walking tour. 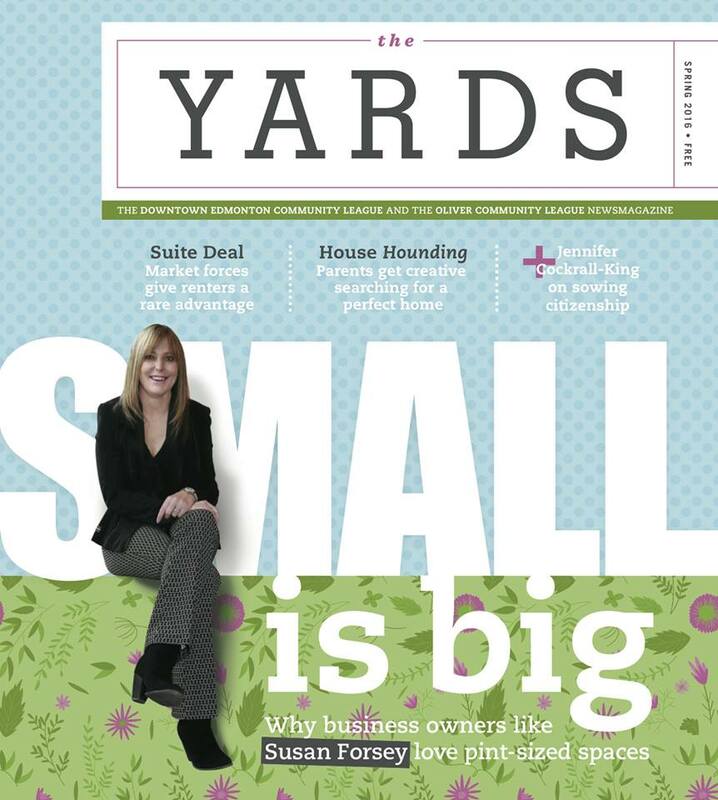 Spring 2017: Highlights of this issue include a feature on how Edmonton’s Downtown and Oliver residents are embracing warm weather with the creation of vibrant balcony gardens, a look at Edmonton’s indigenous artwork, downtown businesses, third spaces and urban design. 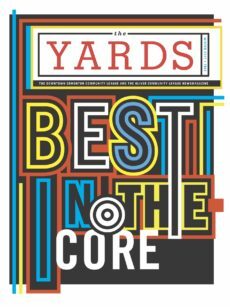 The second annual Best in the Core Awards; looking at the plague of sidewalk closures; and six ways to be the best downtown ambassador this holiday season. 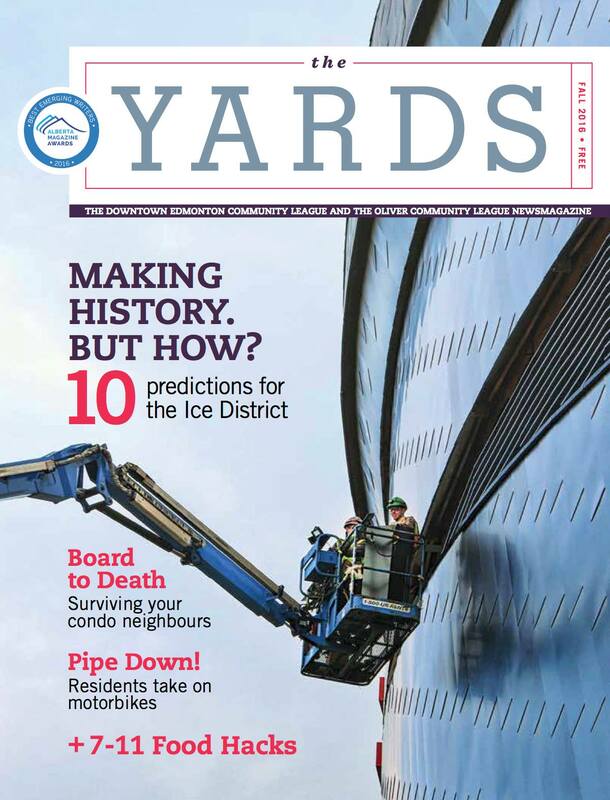 The Fall 2016 issue features: The Condo Board Survival guide, for new homeowners looking for harmoniously living in multiunit housing; 10 predictions for the opening of the historical Arena District; a handy map to the river valley’s amenities and future developments; and more. 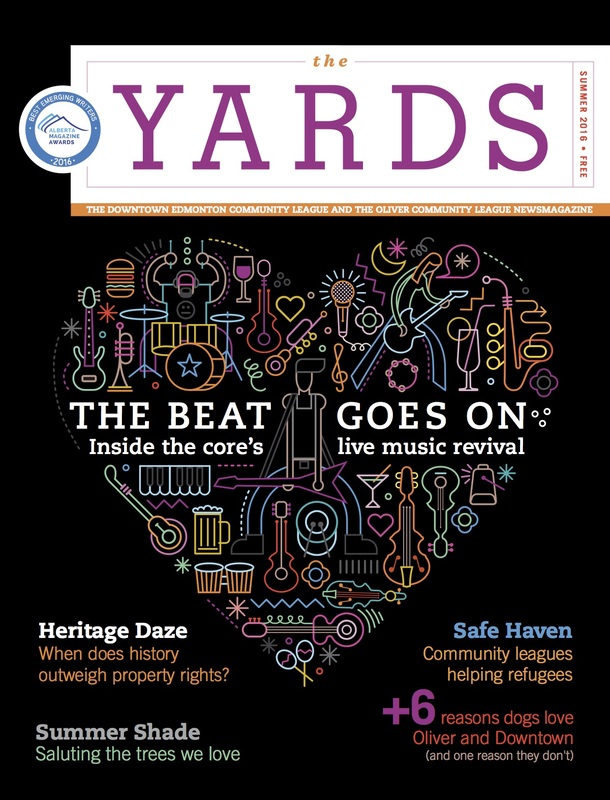 The Summer 2016 issue of the Yards, Oliver and Downtown Edmonton’s magazine, featuring stories on the core’s live music revival; the ethics of legally protecting historical property; why dogs love the core; and an infographic celebrating the trees we love. 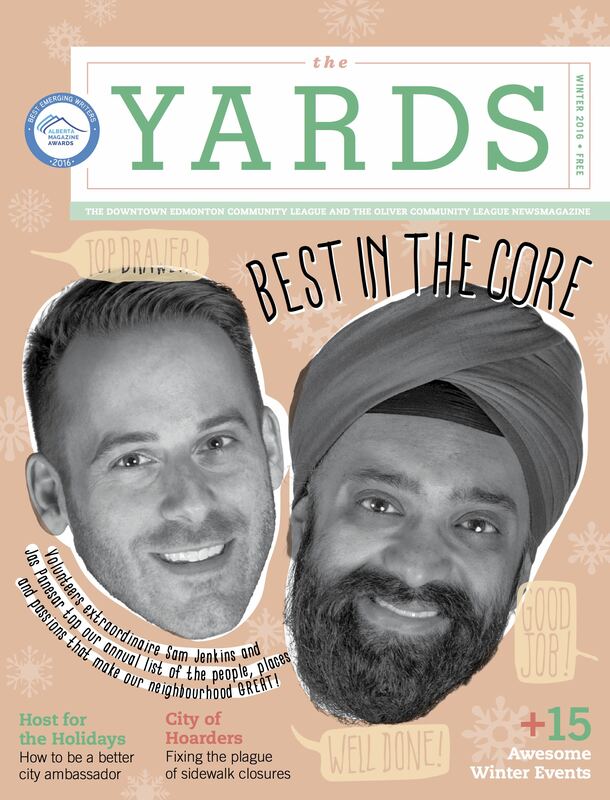 The fall 2015 issue of the Yards, featuring stories on the social effects of downtown’s revitalization and how homeless services are working with corporations; six snowy activities that’ll have you wishing for longer winters; how parking regulations stall small businesses; and the inaugural Best in the Core Awards honouring Oliver and Downtown’s finest. 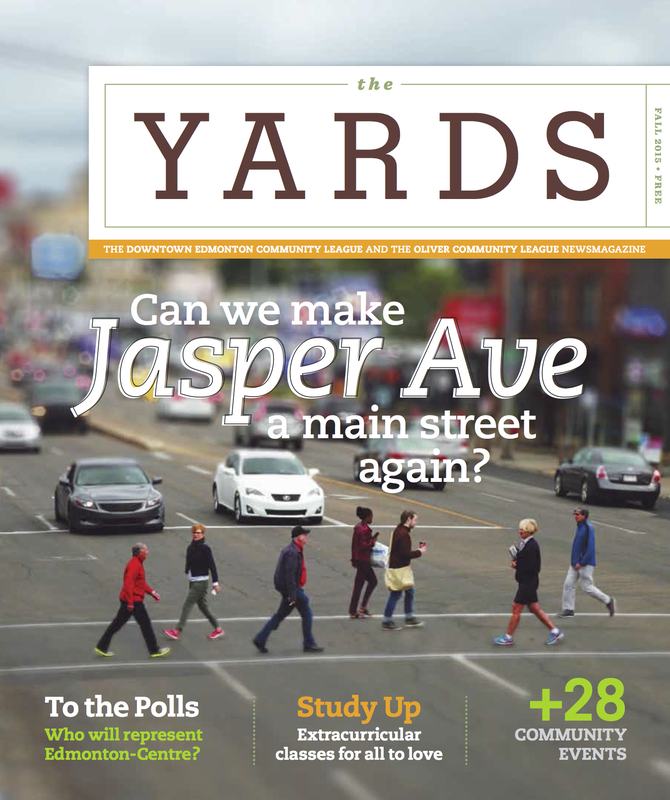 The fall 2015 issue of the Yards, featuring stories on downtown’s exploding student population and campus development; Jasper’s upcoming makeover; the rental apartment market—by the numbers; the Rossdale redevelopment and forgotten indigenous history; and more. 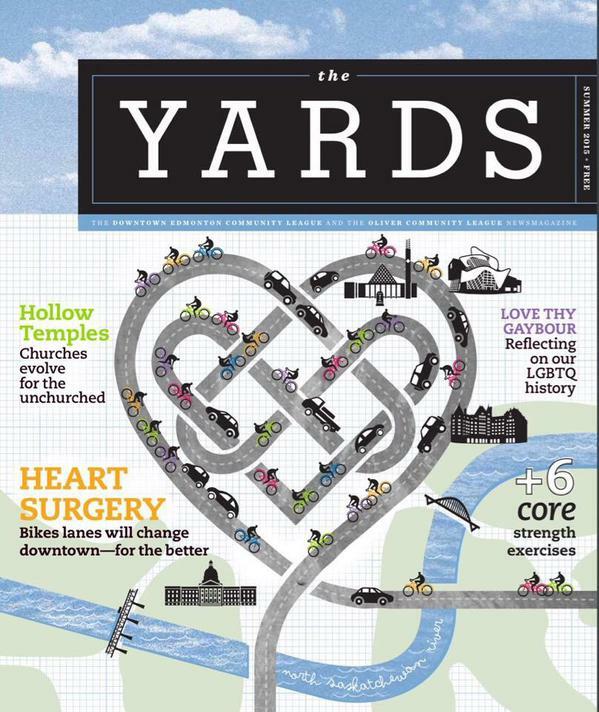 The summer 2015 issue of the Yards, featuring stories on the future of bike lanes, getting fit in the urban core, the evolution of downtown’s churches, age-restrictive buildings and virgin homebuyers. 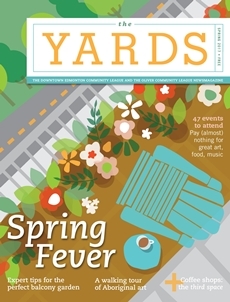 The monthly feature examines the citizen’s role in urban planning. A profile of filmmaker Trevor Anderson—with life advice from Werner Herzog. 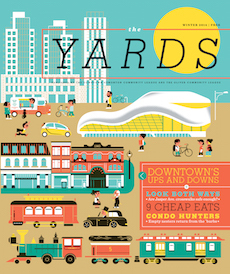 Tim Querengesser on why Edmonton’s bodegas are few and far between. Plus: 6 family activities parents will actually enjoy. 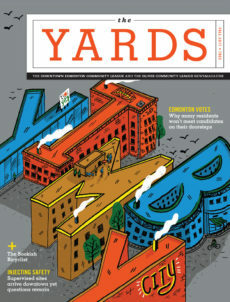 The Yards premieres with a history of Edmonton’s troubled but resilient downtown. Councillor Scott McKeen on why a “wet shelter” makes sense for chronic alcoholics. Two empty nesters return from the ‘burbs. Plus: 9 delicious meals so cheap you’ll hardly believe us.